Our Johannesburg, Wynberg based corporate clothing factory is tasked with all corporate wear design, development, manufacture and stock holding alongside distribution processes. The corporate wear factory is equipped with all required manufacturing equipment and staffed with highly experienced and skilled seamstresses. Many of these staff have been with the corporate wear company since its inception. Our corporate work clothing quality is strictly monitored and assured throughout the production process. Modelled on innovative manufacturing principles, our corporate wear showroom encourages clients to observe how elegance, quality, precision and care are styled into all corporate work clothing garments. This is done through the introduction of a visible and operational factory. Our corporate work clothing design team is headed by an award-winning, qualified and specialised Senior Designer who has recognised industry literacy and knowledge. The corporate work clothing team offers dedicated, creative and informed advice and recommendations in relation to corporate clothing and fashion trends. 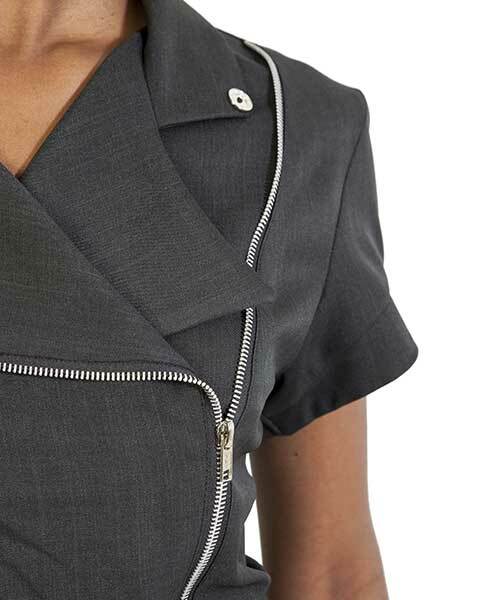 Corporate work clothing designers incorporate these into everyday office and work wear. The corporate wear designs are transformed via our automated LECTRA software system thus ensuring innovative, accurate and superior corporate wear garment styling and production. KARMA aims to ensure an efficient ordering process for all clients and to this end is committed to providing automated services in areas that best benefit from current technology. We have engaged ourselves in providing a fully computerised ordering, invoicing and tracking system – KOPS (KARMA Ordering Processing System). It has been put into place to assist clients in obtaining the full benefits of a time-and-resource efficient procedure, whilst at the same time, marginalising room for error. We undertake to assist all our clients with the distribution and logistics of issuing corporate wear to the relevant Head Office and /or branches by assuming accountability for this process. All work clothing orders are individually packaged and labelled as required. During a corporate wear consultation with clients, we recommend the most efficient method of delivery and distribution and one which suits the client’s requirement. At KARMA we consider ourselves to be part of the global service industry and as such are committed to offering our clients an unequalled service. This occurs from initial contact to ongoing assistance. We have instilled a nature of excellent service delivery in our staff and are confident that all segments of our corporate wear organisation are dedicated to providing our clients with an energetic, loyal and professional approach.